and shrubs in rural and urban areas each year. 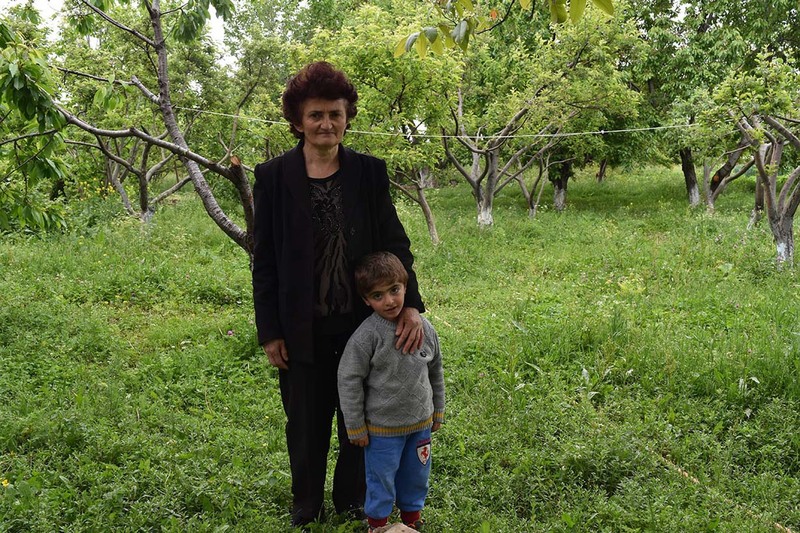 One of our biggest concerns for the security of Armenia is the wellbeing and prosperity of its village communities, especially those situated near or on the borders. ATP has targeted the most vulnerable communities with the most need for greenery. The focus and attention that is given to these areas not only helps our trees to grow and flourish but also creates a stronger bond between the inhabitants and the land they live on. Major greening sites are typically public parks, schools, kindergartens, cultural centers, military bases, churches, historical monuments and other significant landmarks. It is vital to have green areas in cities to protect people against pollutants and dust, and to provide shade and lower temperatures caused by hot summers, traffic, concrete heat and greenhouse gases. 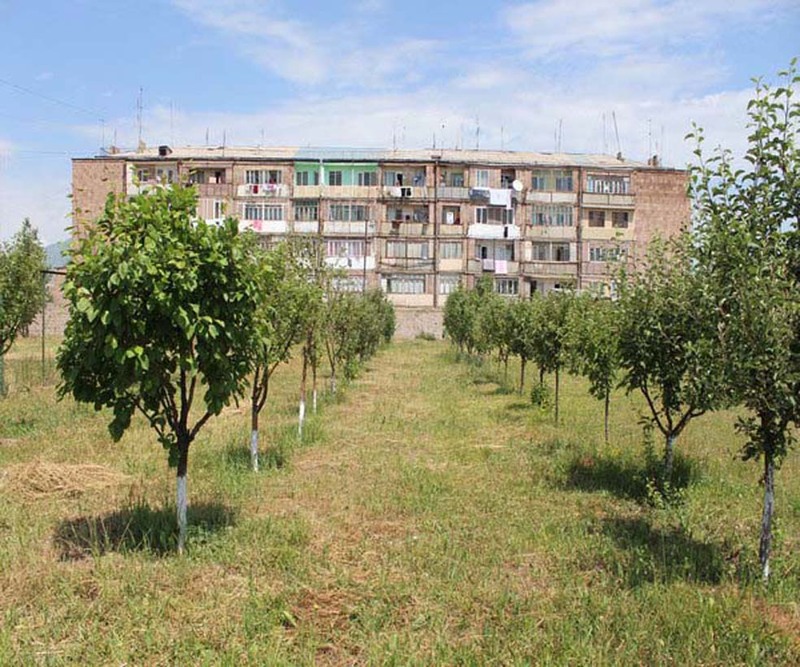 ATP has planting sites throughout Armenia’s capital, Yerevan, as well as in other major cities. Our trees are not only saving lives by cleaning the air we breathe of carbon dioxide but they’re also a major part of the beauty of Yerevan. 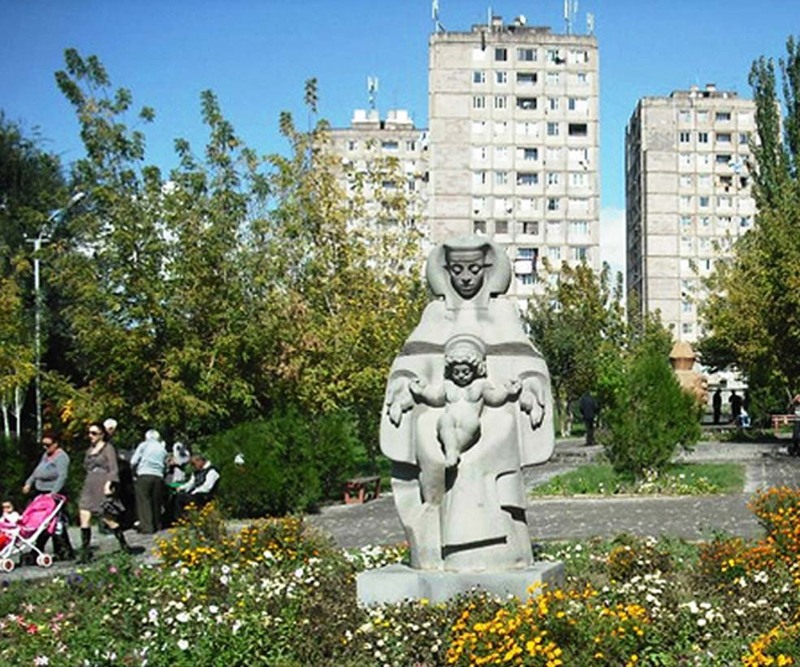 Founded in 1925 by Western Armenian Genocide Survivors from the historic city of Sebastia, Malatia Sebastia, often referred to as Bangladesh, is located in the western part of Yerevan. It is one of the most densely populated residential districts of Yerevan, which supports two large markets for agricultural products and clothing. Malatia Sebastia’s key landmark is the immense circular Holy Trinity church, built in 2003 to commemorate the seventh-century cathedral of Zvartnots. Malatia Sebastia inherited monolithic concrete Soviet architecture and mostly consists of multi-story buildings. It’s labyrinth-like layout of structures is complex and as a result, one of the hottest areas in Yerevan to reside. The need for trees and green areas was pressing. To this day, Bangladeshtsi’s still say they live in the Sahara. ATP began working with the district administration to provide trees to the community as early as 1999. 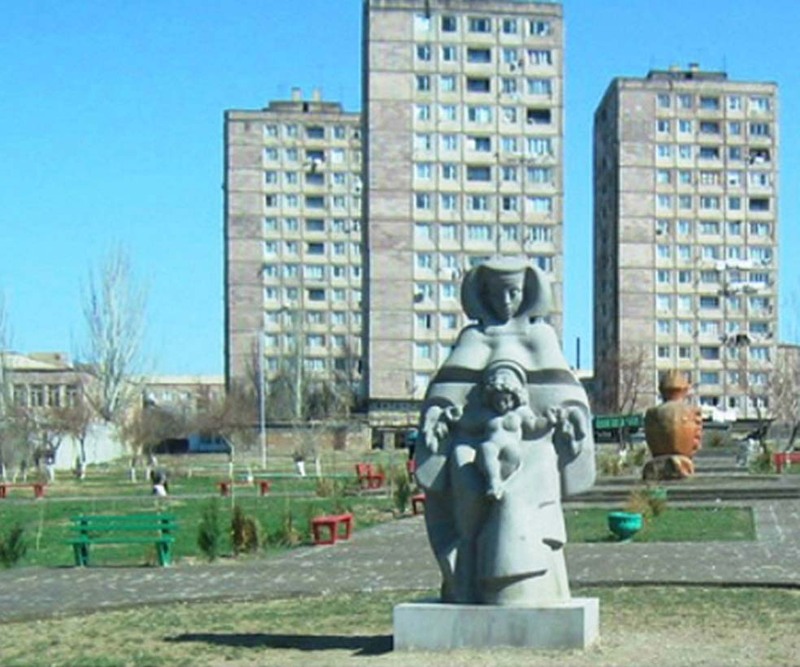 The most popular sites that have ATP trees include St. Zoravar Andranik park, the Holy Trinity church park, Love and Faith park, Youth park, Maternity park, Avedisian school, School N. 190 and many others. There are six parks in Malatia district which have been greened with the help of ATP in cooperation with the district administration. 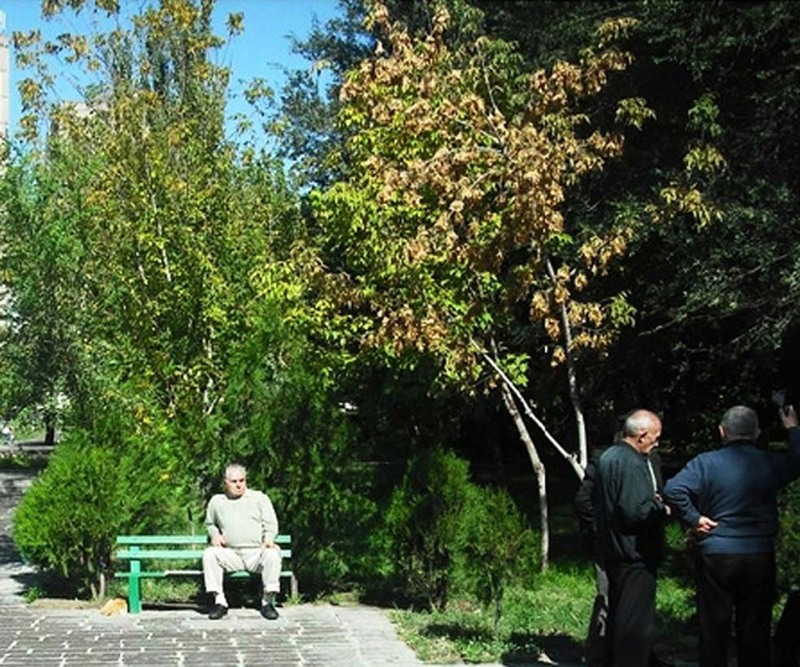 Malatia Sebastia has been transformed into a green zone with the greenest parks in Armenia. 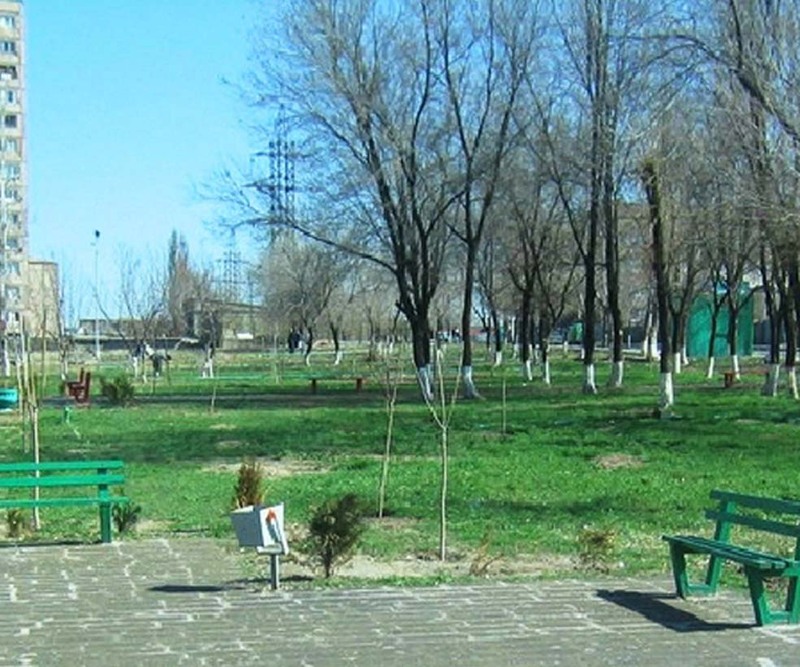 One of the most loved parks is named after General Andranik, and a statue of him and his army of trees welcome all visitors who enjoy playing backgammon in the shade and strolling with their grandchildren. 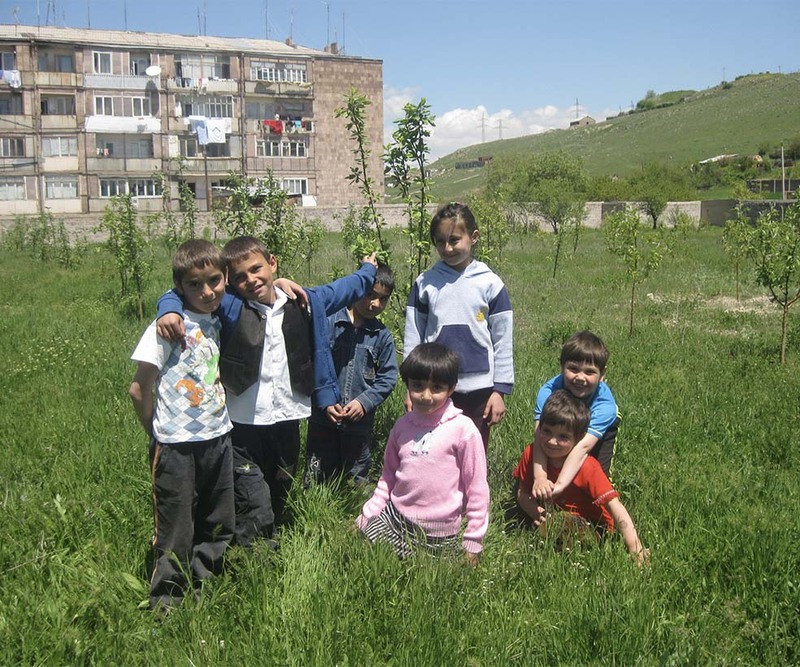 Byureghavan’s boarding school was founded in 1958 for needy and orphaned children living with low income foster families. Faced with difficulties, in many cases with no parents or any relatives, many children found their home at Byureghavan’s boarding school. Each of them has a different story - a mother who passed away, a father who left the family and so on. The school has separate boys and girls dormitories with a staff of 60 including psychologists, social workers, a doctor, nurses, cooks, and educators. The school yard was initially treeless. The children didn’t care to spend time playing outdoors, especially during the hot summer months. In 2007 a new irrigation system was installed that would make plantings possible. ATP organized tree plantings at the boarding school starting from 2007. 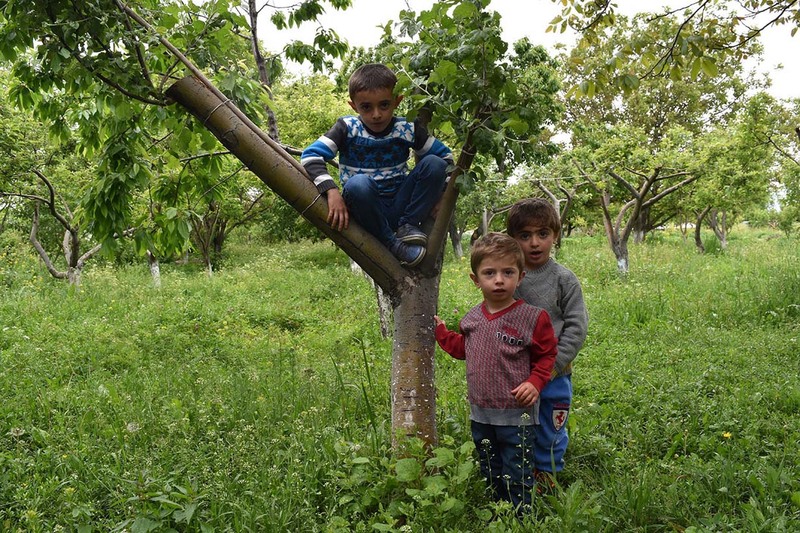 With the help of the kids and staff, an orchard was quickly established. 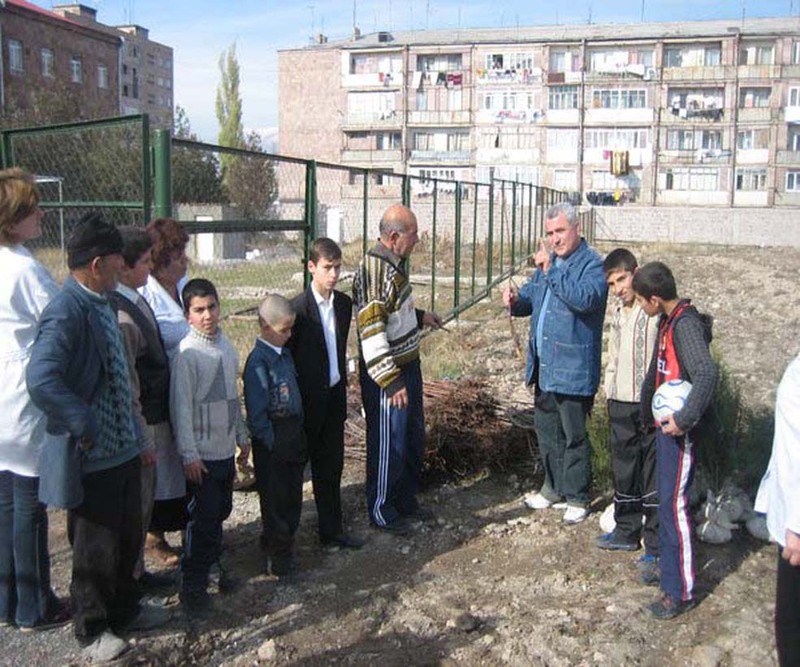 To date, ATP has provided 935 fruit and decorative trees to the site, which is dedicated in memory of Mardooni “Moon” Vahradian, and has been sponsored by generous donations from the Vahradian Family. “We highly appreciate the presence of ATP in Byureghavan. It’s not only trees and the harvest that we get. Kids learn that there are kind people who care and try to make a difference,” notes Ms. Galstyan, the head of the boarding school. “They love spending their time in the orchard, especially playing in the shade and organizing picnics.” The school recently had a very rich apricot harvest. The fruit was shared among the children during their breakfast, lunch, and dinner meals!